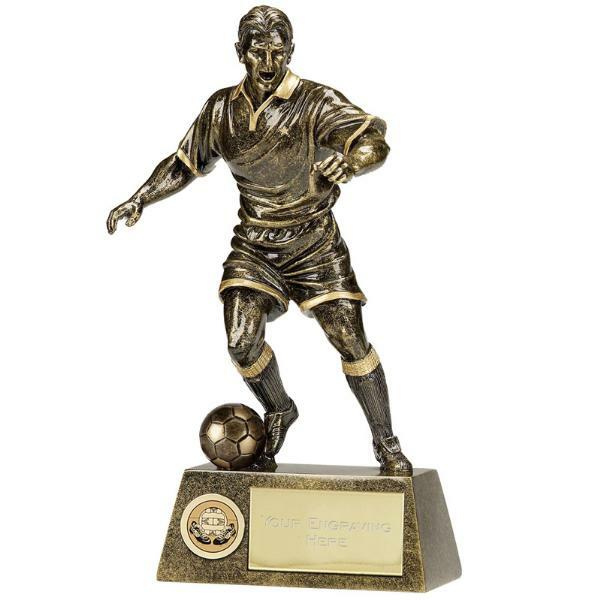 This is an engraved Pinnacle Football Figure, 15cm tall, but also available in larger sizes of 22cm and 24cm. The price for the football figure includes up to 50 characters engraved free, with additional letters charged at 15p a letter. These Pinnacle Football Figures are also available as Player Awards, and there is also a Female Figure. The postage rate for the engraved football figure is band B.